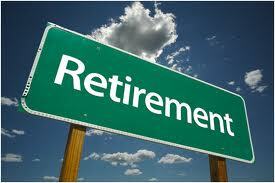 Good news for all retired members of the Public Safety Personnel Retirement System! As you may recall, several members of the Fraternal Order of Police asked the membership to financially support their challenge of the unconstitutional changes to your retirement benefits. Thousands of FOP members voluntarily stepped up to write checks to help defray the legal costs. All litigation decisions were made by the individual plaintiffs and all legal costs were paid by donations to a separate fund. As a result of the Arizona Supreme Court decision, all PSPRS retirees will now be entitled to reinstatement of their permanent annual benefit increases. On February 20, 2014, the Arizona Supreme Court issued its Opinion holding that the Legislature’s 2009 changes to your retirements were unconstitutional. Specifically, the Court held that it was unlawful for the State to modify the system in a way that eliminated your raises in retirement. The practical effect of the Court’s decision is that you should be entitled to receive such increases in the future and should also be entitled to payment of the increases you have been denied. In July 2011, the AZ Legislature, in SB 1609, made changes to the contribution rates for active law enforcement officers, and, changes to the retiree increase formula. The Legislature made similar changes to the pension system that applies to judges (EORP). Retired judges filed a lawsuit claiming the changes to the COLA formula were unconstitutional. (Fields et al v. EORP). Active judges filed a lawsuit claiming the changes to the contribution rates and to the retiree increase formula were unconstitutional. (Hall et al v. EORP). On behalf of individual members of the Arizona Fraternal Order of Police, our law firm filed two separate lawsuits, as well. One was for retired law enforcement officers claiming the changes to the retiree increase formula were unconstitutional. (Rappleyea et al v. PSPRS). The other lawsuit was for active law enforcement officers claiming the changes to the contribution rates and to the COLA formula were unconstitutional. (Parker et al v. PSPRS). The Fields case was filed on behalf of retired judges before we filed the Rappleyea case on behalf of retired law enforcement officers. The trial court ruled in favor of the retired judges, finding the legislative changes to the formula unconstitutional. The matter was appealed directly to the Arizona Supreme Court. On February 15, 2013, we stipulated with the State of Arizona and the PSPRS to stay the Rappleyea lawsuit in order to “conserve the finite resources of the parties and the Court.” We did so on the condition that whatever the ruling might be in the Fields case, the State and PSPRS would give it “equal force” in our case. On February 20, 2014, the Arizona Supreme Court issued its long-awaited Opinion. In it, the court declared unconstitutional, the Arizona Legislature’s 2009 modifications to the retirement statutes which had essentially eliminated the retiree increases which you had been promised and on which you and your families relied. Since its founding, The Arizona State Lodge of The Fraternal Order of Police has been committed to advancing the rights of Arizona law enforcement officers and protecting the rights of its members and their families. This is just another example of our continued commitment to assist law enforcement officers and their families.